Hero MotoCorp retained its number one position in sales with 735,668 units sold in October 2018. Hero MotoCorp commanded the No. 1 position in sales in October 2018. The two wheeler major recorded growth to the extent of 16% with a total of 7,35,668 units sold as compared to 6,31,105 units sold in October 2017. This is the fourth time this financial year that Hero Moto sales have exceeded the 7 lakh mark while in September 2018 sales were at their highest ever at 7,69,138. It was also in October 2018 that the company launched the new Destini 125 scooter. The model is priced from INR 54,650-57,500 and while bookings have opened, deliveries should commence by the end of this month or early December. Honda Motorcycle and Scooter India registered a 12% growth with over 5 lakh units sold in October 2018. In the past month a total of 5,21,159 units were sold marking the fifth time that the two wheeler maker has crossed the 5 lakh sales mark in a month this year. The company had sold 4,66,552 units in October 2017. Taking scooter sales into account, a total of 3,22,108 units were sold last month, an increase of 10% as compared to 2,93,117 units sold in October 2017. 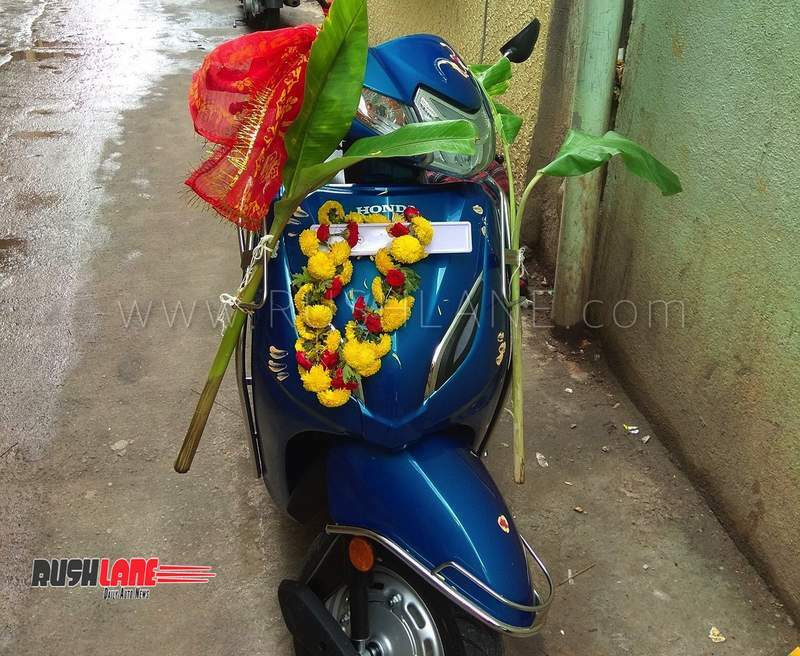 Honda Activa sales continued to peak at over 2 lakhs a month. Exports increased 7% with a total of 31,035 units exported in October 2018 as compared to 29,004 units exported in the same month of the previous year. Royal Enfield has reported a 3% increase in domestic sales in October 2018. Sales during the past months stood at 70,044 units as compared to 68,014 units sold in October 2017. Cumulative sales increased 1% from 69,492 units sold in October 2017 to 70,451 units sold last month while exports were hit hard and dipped 72% to just 407 units in October 2018 as compared to 1,478 units exported in October 2017. The global launch of the Interceptor 650 and Continental GT 650 will be followed by launch in Goa, India later this month. TVS Motors has registered sales growth of 26% in October 2018. 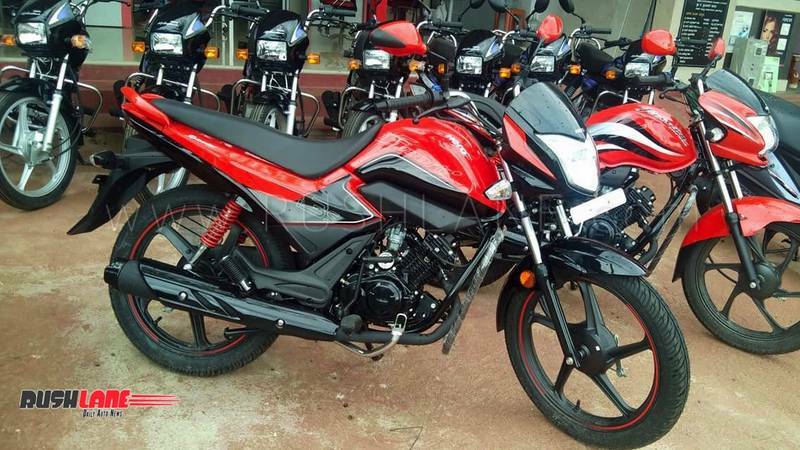 The Hosur based bike maker sold a total of 3,98,427 units, which included domestic sales and exports, in October 2018 as against sales of 3,17,411 units sold in October last year. Taking into account only two wheeler sales, TVS Motors sold 3,84,307 units in October 2018, up 25% as compared 308,364 units sold in October 2017. Of these, domestic sales stood at 3,38,988 units in October 2018 as compared to 2,70,372 units sold in October 2017, an increase of 25%. Motorcycles sales in October 2018 increased 20% to 1,50,429 units as compared to 1,25,409 units sold in October 2017 while scooter sales increased 41% from 1,06 910 units sold in October 2017 to 1,51,040 units sold in the past month. In terms of exports, the company shipped 57,926 units in October 2018, an increase of 27% over 45,437 units shipped in October 2017. Two wheeler exports which stood at 45,319 units last month surged 19% as compared to 37,992 units exported in the same month of the previous year. Three wheeler sales increased 56% from 9,047 units sold in October 2017 to 14,120 units sold last month. Bajaj Auto Limited saw October 2018 sales increase 32% across all segments marking its highest ever monthly sales. The company sold a total of 5,06,699 vehicles in the past month as compared to sales in the same month of the previous year. Overall domestic sales were up 33% to 3,19,942 units while exports surged 38% to 1,86,757 units with a 68% increase in export of commercial vehicles and a 33% increase in export of two wheelers. Motorcycle sales increased 33% to 4,32,985 units while sales of commercial vehicles increased 30% to 73,714 units. Suzuki Motorcycle India clocked 34% growth in domestic sales in October 2018. During the past month the company dispatched 61,768 units as compared to 46,048 units sold in October 2017. Total sales which also included exports stood at 65,689 units in the past month, up 30.76% as compared to 50,237 units sold in October 2017. While the company recorded cumulative sales to the extent of 4,36,798 units during the period April to October 2018, in October, the company also commenced deliveries of the V-Strom 650 XT ABS which was the third new product launch in FY18-19.